I’m taking a long weekend off, starting today, so if you email or purchase anything in the shop between now and Sunday, expect a reply/ shipment on Monday. I felt the need to get stuff organized before the wee vacation, so I have updates on three projects. From these batts, which were purchased at Spritely Goods. I spun up 4 bobbins of singles, two with a batt each, just split lengthwise and spun from the end. The other two bobbins were striped from batts I split into layers, then strips, and spun from the end. 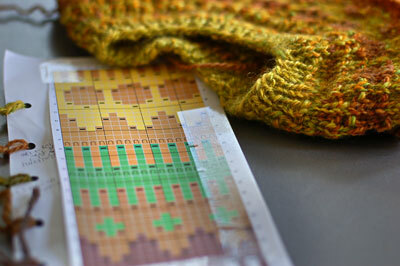 There’s just one big stripe of each of two colors in each skein. The stripes are nice and subtle in the skein. Lovely. When they’re really, truly dry, I’ll wind them into balls. I bet the stripe will show up better in a photo then. Shoulder attempt #1 was a bust. It looked like I was wearing a shoulder pad on the outside of my arm. 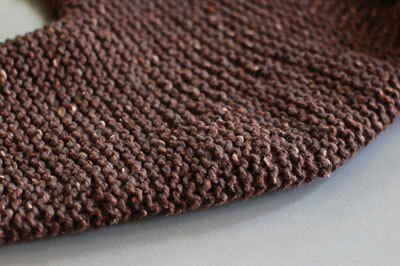 The arm narrowed far too quickly for my taste, as well, which I didn’t know until I seamed it. Jared of brooklyntweed helped immensely with this and I’ll be back on track, soon. I have faith in him! See you all Monday! There’s going to be a shop update on Tuesday. It won’t be a crazy giant update like last time, but we’ll try to make it lovely. Have a wonderful weekend and holiday. Happy birthday! :) Hope you have a great one! I love how the Smores-looking fiber turned out spun! Yum. And the Tomten looks so squishy and warm. Bohus… ahh! Can’t wait to see the progress on it with the new chart. I gotta say, Adrian, that a bohus in real sized yarn just calls me. Publish the pattern, will you — I’d pay for it. Love Love Love the colors. And … sheesh… how old is old? ‘Cause if you’re not turning 45 (45! When did that happen and how does a 45-year-old act? Not like me I think!) you’re not so old. And Happy Birthday. Happy B-day!!!! I loved those batts and I really love the spun yarn. The colors are great. i’m laughing a little bit because i’m in my 30’s and my mom takes me shopping for my birthday! have fun! 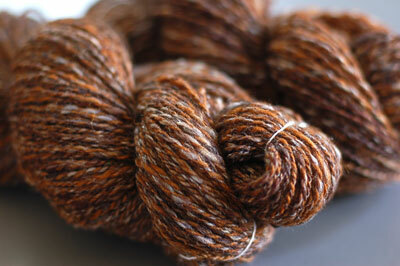 i’m drooling over that beautiful handspun, by the way. HAPPY BIRTHDAY!!!! Have an excellent shopping trip! Happy Birthday! You bring such color and joy into the world! Happy Birthday, Adrian! Old? Yah right. I’m not buying it. Enjoy your time off and with your mom. My mom still practically begs to take me shopping “for something nice, just for you.” The only problem is our still differing opinions as to what “nice” means. I compromise by letting her take us shopping for the boys instead. ha! it your birthday! happy B’day. mine is this week as well! Great colors and nice spinning. Oh yum. That yarn looks lovely. I wish I could spin like THAT! And your bohus? I swoon. 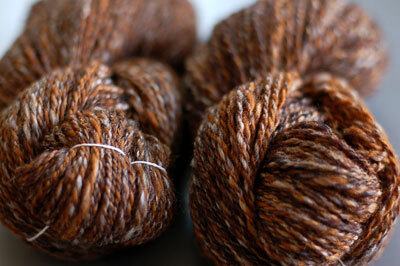 The yarn, by the way, is stunning – I’m wishing I kept some batts for myself!